This is something really Epic. The company fighting against Jailbreak now copies the work of Jailbreak Devs and port it into the iOS 5. 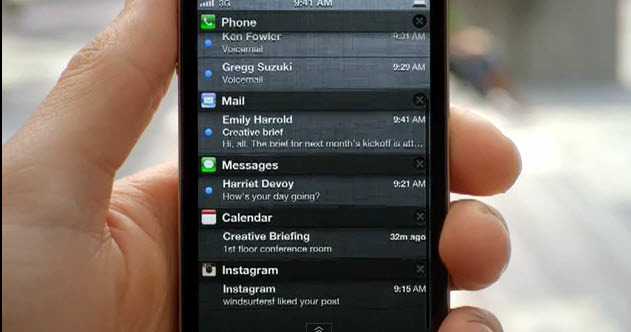 Even recently Apple hired a Jailbreak Dev Called Peter Hajas to work with them on to improve the Notification System in iOS 5. Apple was so impressed with this work that they hired him. Below is a video of all the Features iOS 5 is offering. After you have seen the video now you will be amazed to see the features which Apple has copied of Cydia Tweaks. A user on youtube under the video Comments posted the Tweaks with its name and time, Hope this helps. All we can expect is that these things works better than the Cydia Tweaks, So then these are useful. Other wise Cydia is better.